I cannot resist a book about twins. Maybe it’s the fun of having super cute, almost-five-year-old twins as my niece and nephew. Or maybe my interest stems from my 88-year-old grandfather, born a fraternal twin and the kind of man who casually says things like, “Yeah, that’s a photo of me with a deer I shot using a bow I made myself.” It’s also possible it was just all those Sweet Valley books I read growing up. Whatever the cause, I find twins endlessly fascinating, and I am hard pressed to pass up a book that promises twinny drama. The twins in Ann Morgan’s debut novel Beside Myself have a complicated relationship to say the least. Helen is the older, stronger, favored twin. Ellie, born after her sister with an umbilical cord around her neck, is slower, quieter, a hapless troublemaker. One day, Helen thinks of a new game the children can play—they will switch places and see how long it takes their mother to notice. She and Ellie change their clothes and hair. Helen urges Ellie to adopt her own mannerisms and patterns of speech. She can’t wait to see their mother’s reaction to this hilarious prank. Except their mother doesn’t notice. And—surprise, surprise—Ellie doesn’t want to give up the coveted role of Helen. What was supposed to be a silly diversion for a few hours becomes a waking nightmare for the real Helen. No one believes her when she insists she’s not Ellie. And why would they? Ellie has always had problems. Ellie can't be trusted. Helen is the golden child who has their mother’s ear. If everyone thinks Helen is Ellie, why would they listen to a word of her bizarre story? Morgan uses alternating timelines to show how the twins’ identity switch affects Helen (now Ellie) into her adult life. She is clearly mentally ill, hearing voices and living in a hoarder’s nest of an apartment, paranoid and suspicious of everyone she encounters. She’s also one of the best-written unreliable narrators I’ve read for some time. It’s hard to tell at the outset what is truly threatening to Helen/Ellie, and what is the product of her mental illness. Her struggles will make you think hard about identity—and they demonstrate what can happen to the mind when others refuse to see us as we are. This book was my first foray into next year’s releases, and it’s certainly setting the bar high for 2016. 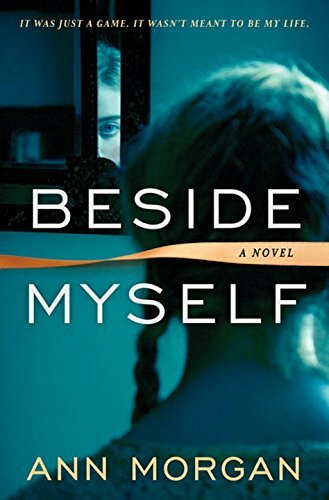 Beside Myself had me riveted from start to finish. Highly recommended. 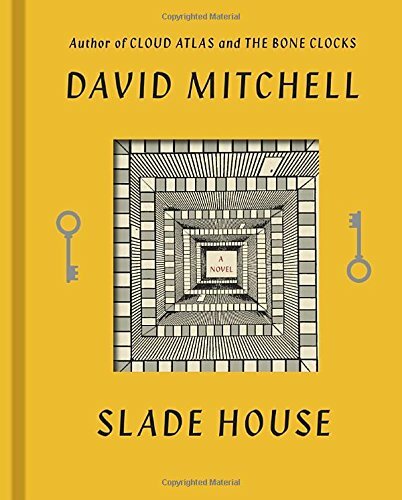 With regards to Bloomsbury USA and NetGalley for the advance copy. On sale January 12, 2016. TagsAcross the Pond, Choices With Far-Reaching Consequences, Complicated Sisterhood, Don't Trust That Narrator, Mind Games, Nonlinear Storytelling, Problem Children, They're Twins!, Unreliable Memory, You Think Your Childhood Was Screwed Up?